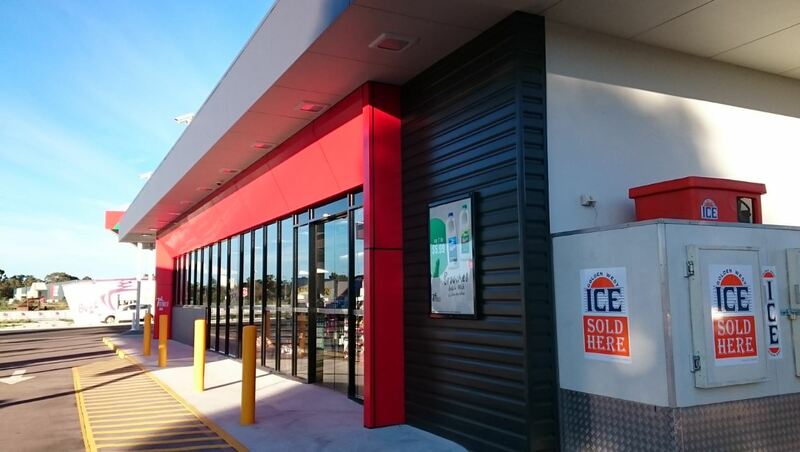 High Quality Cladding With 24 hours Lead Time* Novaclad is a low profile cladding system with multiple applications such as retail, institutional, commercial and industrial. Novaclad can be used as: -Wall cladding -Fascia -Soffits -Interior design -Awnings Specifications: [caption id="attachment_9184" align="alignnone" width="375"] Click to enlarge[/caption] DIMENSIONS Width: Effective cover 280mm per sheet Length: Standard lengths custom cut to 8m. Special lengths in excess of 8m by enquiry Projection: Profile face projects 15mm from fixing ground Features: -Protecting against harsh Australian conditions -Resistant to chipping peeling or cracking -Non Combustible -Secures against intruders -Range of colours -Easy to maintain DURABILITY Novaclad is cold roll formed from 0.55mm (BMT) steel which provides extra strength. Colorbond's four stage coating process delivers strength thats more than just skin deep. Versatility Novaclad offers users the choice between vertical, angled and horizontal applications. STYLE This attractive cladding panel gives a distinguished look and neat appeal. LOW MAINTENANCE Just an occasional hose down is all that's need to keep your Novaclad in tip top condition for years to come. QUALITY At Novaproducts quality is not simply catching defects before shipment to customers. It's an orientation that builds quality into every step of the process. CUTTING Novaclad can be cut for installation using tin snips or a friction saw. However, it is important to protect the face of the cladding by putting the face downwards when cutting. This reduces the risk of hot shavings damaging the pre-painted surface. However, for best results order exactly to size. HANDLING Care should be taken to ensure that cladding is handled so as not scratch the pre-painted surfaces. Metal cladding in packs should be kept dry at all times. Should moisture collect in the packs, attention must be given to dry each sheet individually. Novaclad is a low profile cladding system with multiple applications such as retail, institutional, commercial and industrial. Novaclad is cold roll formed from 0.55mm (BMT) steel which provides extra strength. Colorbond’s four stage coating process delivers strength thats more than just skin deep. Novaclad offers users the choice between vertical, angled and horizontal applications. This attractive cladding panel gives a distinguished look and neat appeal. Just an occasional hose down is all that’s need to keep your Novaclad in tip top condition for years to come. At Novaproducts quality is not simply catching defects before shipment to customers. It’s an orientation that builds quality into every step of the process. Novaclad can be cut for installation using tin snips or a friction saw. However, it is important to protect the face of the cladding by putting the face downwards when cutting. This reduces the risk of hot shavings damaging the pre-painted surface. However, for best results order exactly to size. Care should be taken to ensure that cladding is handled so as not scratch the pre-painted surfaces. Metal cladding in packs should be kept dry at all times. Should moisture collect in the packs, attention must be given to dry each sheet individually.